Sometimes we receive some slightly older stuff here in TheTechnoclast – thankfully its mostly because we get some of these devices through various means. This time, we got a pretty cool looking iPod dock – if only it wasn’t a little dated. The Logitech AudioStation came out probably around 4-5 years ago now, but it should still support a good amount of iPods and even iPhones/iPod touches. 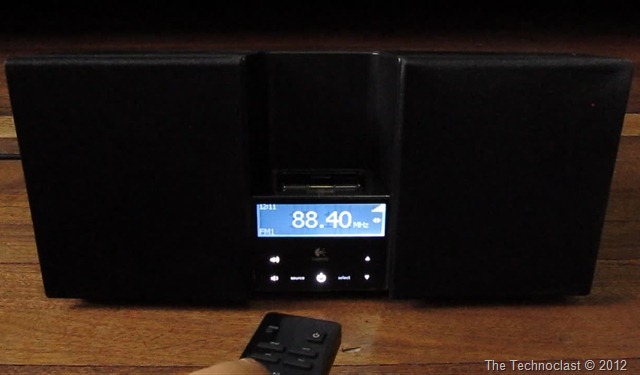 Its got decent sound and specs too – with 80watts of power, AM/FM/aux features (including external antennas), IR remote control and video output from your iDevices. So lets go ahead and unbox this baby, right? Unfortunately we didn’t have an iPod to test the device out, but we tested the audio from AM/FM for you here. Should give you an idea on what the product is all about. If you’re looking for one of these, they run for about PHP 8-10k if you can find them. Check them out if you’re looking for one of these.